This article was written prior to the release of the Minister’s tarakihi decision on 19th September 2018. LegaSea is celebrating the ongoing willingness of recreational fishers to conserve fish. On the flip side when we do volunteer conservation we need to make sure our collective efforts are effective and not used as a weapon against us. During July Fisheries New Zealand conducted a review of tarakihi management between Otago and Northland because the Minister needed to apply major cuts to commercial catch limits on the east coast. A range of options were proposed to rebuild the fishery within 10 or 20 years. In an effort to justify the proposals on ‘shared pain-shared gain’ basis, changes to recreational fishing were also included in the review. Proposals included removing tarakihi from the combined daily bag limit and setting a tarakihi-only bag limit which, by implication, would be lower than the current level. Fisheries New Zealand’s most recent stock assessment shows that the spawning stock biomass has been about 14,000 tonnes over the last 10 years and that the Total Allowable Catch of 4,900 tonnes (35%) per year is far too high to allow these stocks to rebuild. 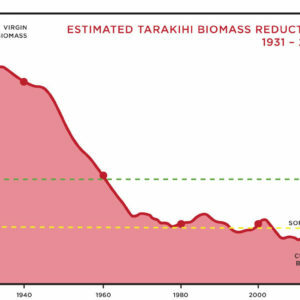 At current catch levels the tarakihi stocks will continue to decline. Throughout the review all the talk about recreational fishing was a distraction because our combined harvest from eastern stocks represents less than 5% of total tarakihi catch. The real change required to meet the Ministry’s own guidelines in the Harvest Strategy Standard are cuts to commercial catch limits of around 65%. 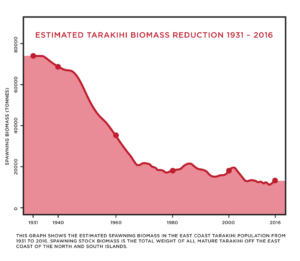 These reductions are required because tarakihi stocks on the east coast have been hammered by decades of trawling, dumping and wastage. Over time the stock is estimated to have reduced by around 83%. 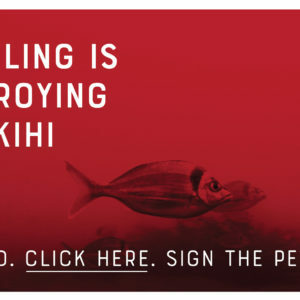 The stock is now estimated to be at 17% of its original size and the concern is that any potential ability of tarakihi to rebound is constrained by ongoing trawling in mixed fisheries and the targeting of known nursery areas, particularly off the South Island. Decision must comply with Standards Tarakihi is classed as a low productivity stock so the Ministry’s Standards require the eastern stocks to be rebuilt within a decade to more than double its existing size, to 40% of original biomass. Based on the latest stock assessment this requires commercial catches to be reduced by around 65%. As recreational fishers we like to think we can make a difference however, in this instance we can’t contribute much because we are less than 5% of total catch. Even if we all stopped fishing for tarakihi tomorrow it would make no difference to the overall stock size, so any offer from us to reduce our recreational bag limit needs to be conditional on the full reduction being applied to commercial catches. 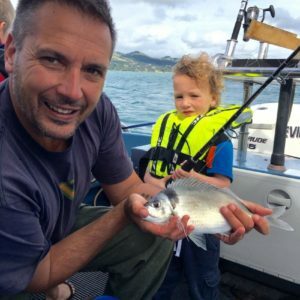 Stuart Nash, the Minister of Fisheries, is due to make a final decision for the future management of eastern tarakihi stocks by October 1st. Any changes to recreational controls will not apply until 2019. If we collectively do not demand a Ministerial decision that aligns with the Harvest Strategy Standard there is every likelihood we could be having a similar conversation in a few years time. That is because if the next stock assessment shows the fishery has not rebuilt further reductions are inevitable. 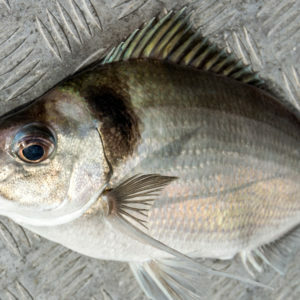 From a public interest and recreational fishing perspective, our access to healthy tarakihi stocks has already been diminished by decades of commercial exploitation. There is a real risk that if recreational bag limits are cut this time around with no serious attempt to rebuild the fishery we will have less to offer towards a rebuild next time the Ministry come calling.